North Dakota may have more oil than the volatile Persian Gulf, but the rush to extract it must be carefully managed to protect the region. Right now things are out of balance. 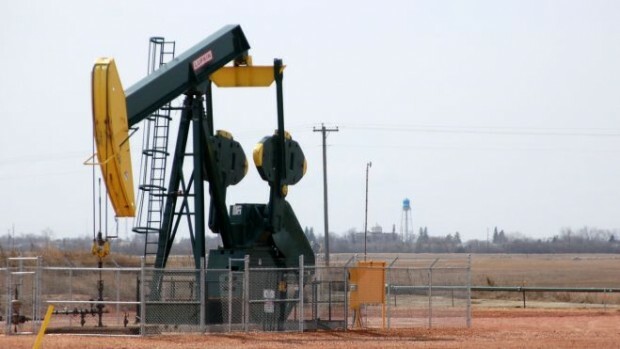 Continental Resources, an Oklahoma-based oil company which operates 10 percent of the drilling rigs in North Dakota, estimates there are more than 900 billion barrels of oil in place, but only between 27 and 45 billion barrels are actually recoverable with today’s technology. By comparison, the Central Intelligence Agency indicates there are 747 billion barrels of proven reserves in the Persian Gulf. Jack Stark, vice president of production for Continental, announced at a press conference in Bismarck, N.D. that there is substantially more recoverable oil in the Bakken formation that encompasses some 25,000 square miles within the Williston basin, most of which is in western North Dakota. At a 5 percent recovery rate that is more than three times what Alaska’s Prudhoe Bay has produced and six times the amount the U.S. Geological Survey estimated in 2008. Energy independence is a critical goal for America which, is possible if North Dakota’s 900 billion barrels and other sites such as in Alaska and off our shores prove technically recoverable. Abundant American oil would significantly strengthen America by untethering us from the ravages of politically-inspired embargoes, price manipulation and uncertain overseas shipments. Currently the U.S. imports 8.4 million barrels of oil a day or 45 percent of our net consumption, while 12.9 percent of our total consumption comes from the Persian Gulf. Still our consumption tripled from 1949 to 2010, according to the Department of Energy, which means finding new sources is critical. That is why North Dakota’s oil potential could be a strategic game-changer, but it must be carefully managed to avoid the mistakes of past oil booms such as negative environmental, sociological and economic side-effects. North Dakota citizens dealing with serious challenges associated with this boom have some pretty good ideas about the role government should play. First, North Dakota’s government needs to distribute more revenue to communities impacted by the boom because area infrastructure and services are overwhelmed. North Dakota oil revenues generated an estimated $839 million in Fiscal Year 2011 and are expected to deliver more than $2 billion over the next two years. But, Sheriff Scott Busching of Williams County at the heart of the oil region says Bismarck sends little of that money back to help the oil communities build the infrastructure to meet the explosive demand. Local sources of revenue fall way short as well. Doug Lalim, Williston’s building department director, says the city receives only 2 percent of the 7.5 percent sales tax and even when lumped with real estate taxes, these funds are insufficient to cover the city’s growing infrastructure costs. Williston, the region’s largest town, tripled in size over the last few years, which required rapid growth in services such as hiring more law enforcement, enlarging the sewer system and hiring more building inspectors. But the worst of the problems are not quickly fixed with money alone. The oil business is literally tearing apart the region’s rural roads, which were not built for big trucks in the first place. Lalim says 9,000 heavy trucks drive daily through Williston’s crumbling streets and a study by the upper Great Plains Transportation Institute estimates fixing the region’s roads will require more than $900 million over the next 20 years. Other critical infrastructure requirements could take years as well. Right now, outlying areas experience brown-outs according to Sheriff Busching and one of the two local power companies is five years behind in laying new lines, according to Director Lalim. That is because the surge in new Williston housing—2,200 new living spaces last year alone—and the power demands for new wells completely overwhelm the power companies’ capabilities. Second, state officials need to take an appetite suppressant regarding drilling permits. Bismarck needs to let the region catch-up. The state’s Department of Mineral Resources approves drilling permits but, according to Alison Ritter, public information officer, there is no permit limit. A permit request takes 51 days to earn North Dakota’s approval. Ritter said there could be 40,000 new wells drilled over the next 30 years. Last year 1,927 permits were issued and so far this year 627, which suggests the state could issue more than 2,000 in 2012. There are other indicators the state knows no limits. There are currently 213 drilling rigs in the state compared to 175 this time last year, and there are 1,090 active permits, which have not been “spud,” meaning drilling hasn’t started. Another 706 permits are in the queue as of June 5. Ritter believes there is an end to the current frenetic pace, however. “We have heard from industry that they have about 80 percent of their initial infield drilling complete, and should start to slow down by the end of 2013,” Ritter said. Third, the federal government needs to get out of the way. Finally, government must help local law enforcement adjust to the new reality while remaining alert to the possibility the new wealth will attract gangs and crime syndicates. Lieutenant Jody Skogen with the North Dakota Highway Patrol said the rapid growth and expanding economy introduced new challenges such as more crime and citizen apprehension. That is why the Highway Patrol shifted troopers to the oil patch—now 55 in total—and increased their patrolling hours in the nine western counties by 27 percent. Sheriff Busching admits “Crime is up but only because the population is up.” That may be true, but Williston detective Amy Nickoloff, who attributes much of the new crime to outsiders, said calls for service to Williston’s police department skyrocketed 283 percent since 2009, as did violent crime (246 percent) and criminal complaints (139 percent). There is no doubt a growing problem. Even applications for concealed weapons permits are up 170 percent over the past two years, which according to Det. Nickoloff, indicates, “people are typically worried about the increase in crime and the new people.” “A lot more people carry mace, pepper spray, attend self-defense classes than before,” Nickoloff said. North Dakota’s oil boom may help America become energy independent. But given the Obama administration’s penchant for expanding government control, North Dakota should be a very public test bed for limiting government interference while encouraging the development of jobs and American wealth.